The field of geography is a brilliant academic discipline that gives you a thorough understanding of the world and lets you focus on whatever interests you. And being the urbanist geographer that I am, this summer I’ve been thinking a lot about what my colleagues could do to help with creating better cities. The more I’ve thought about it, I’ve begun to discover that the answer may lie in the area of specialization that I always liked the least: GIS. GIS stands for Geographical Information Systems which in turn refers to applications that can be used to gather, maintain, store, process and visualize geographical information. Essentially it is modern day cartography with the power to integrate and play around with large quantities of data. The classic GIS approach is to focus on dealing with quantitative and objective data about the world. What we did back in my study years was e.g. to map and analyze changes in the size of an Austrian glacier. One conventional example of GIS-usage. Drive time isochrones around airports in northern Finland. Image source: anitagraser.com. Now, I didn’t dislike taking GIS classes because I hate working with computers or maps, but because the methods and tools that we worked with required in-depth systemic understanding to the extent that you needed to be a technical expert for being able to do anything but follow written instructions to fulfill class goals. And very much also because back then we weren’t able to do anything that really interested me with the available data sets and GIS tools we had. Not to say that studying glaciers isn’t an important topic to study, but it wasn’t something that would inspire me personally or professionally. I felt there was no way to do anything meaningful with cities. But I’m excited to note that those days are now in the past and GIS is entering my niche from all sides with promising new approaches specifically for studying and, ultimately, shaping cities. For instance, in April 2014 the MIT Social Computing Group launched You Are Here, an initiative to publish 100 maps of 100 cities because they “feel that maps can help people to make their city a better place”. 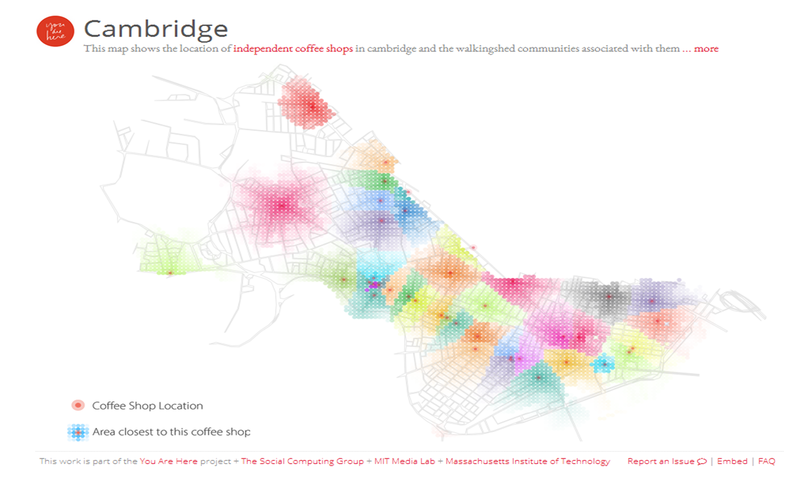 A You Are Here map showing the location of independent coffee shops in Cambridge and the walking-shed communities associated with them. Map source: You Are Here. The group believes that each map is an “aggregation of thousands of microstories, tracing the narratives of our collective experience. We will make maps of the little things that make up life — from the trees we hug, to the places where we crashed our bikes, to the benches where we fell in love”. Essentially, sharing knowledge about the reality in our cities can “empower people to make their city — and therefore the world — a more beautiful place”. What’s interesting is that even if focusing on objective phenomena, You Are Here’s emphasis is on soft factors – how we experience urban space. In my opinion, this approach and attitude cuts to the very heart of today’s planning challenges. One of the greatest issues to solve within the broader planning and urban development sphere in the post-industrial era is that we know too little about shaping inspiring places for today’s citizens. In Finland, just like elsewhere in the Western world, highly skilled people have become the fuel that drives the economy. And as increasingly many of these not only need to work together, but also favor life in cities over suburbs, the reality is that “place” is increasingly regaining its role as a key determinant that divides cities into winners and losers. As it stands, our cities have plenty of suburbs to go around for everyone, but not nearly enough of high density neighborhoods to offer options for those seeking urban lifestyles. 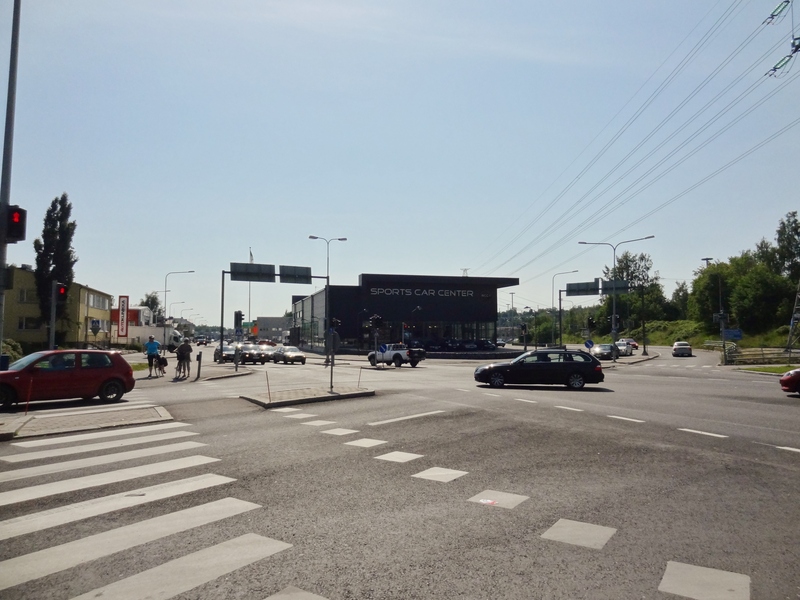 The bottom line is that an increasingly large group of people give priority to qualities in cities and neighborhoods that currently seem to be invisible for the Finnish planning apparatus. Over time, in Helsinki – and in all other larger urban areas in Finland for that matter – this has led to a situation what can be best described as a classic case of supply and demand not intersecting. One illuminating symptom of this here in Helsinki is that while the city is busy developing hard-to-sell apartments in disconnected neighborhoods like Viikinmäki, they have for example needed to enforce restrictions in the inner-city area for blocking the transformation of street-level business spaces into apartments due to high apartment demand. You can also just talk to any young professional on the Helsinki housing market, and they will likely first dwell over intolerably high inner-city apartment prices and then move on to going through a long list of rationales for why they are eyeballing apartments in suburban locations instead. Viikinmäki under construction in Helsinki. The area is being marketed as “urban and original”, but the demand for apartments hasn’t been very promising. One key problem is that the area is very disconnected from the rest of the city and served only by one bus line. Photo courtesy of Kuvaruutu. Apartments in Helsinki’s inner city conversely are so sought after compared to the rest of the country that they usually need to be considered as a separate category in national real estate price analyses. In my view, at the root of the problem why we are not able to make the supply and demand meet is that we have pushed aside a vital ingredient from the urban project which I’ll refer to as the “human element”. Even if never completely so straightforward, what’s certainly true is that already decades ago our excitement in the promises of Modernism and engineering has made us shrug at certain “human elements” which used to transform cities into pieces of art. “We shape our buildings and thereafter they shape us”, is a famous quote by Sir Winston Churchill which originates from the 1940s when Britain’s House of Commons was set to be rebuilt back to how it was after being severely damaged in the London bombing raids. In later decades, the quote has been used to emphasize the simple truth what architecture and urban planning is ultimately about: people building buildings and urban environments for themselves and other people. Indeed, our historic cities just always seem to result in neighborhoods that feel greater than the sum of their parts. The inconvenient truth is that this concept of building urban environments for everyone’s needs and enjoyment has sunk deep into the dark abyss of zoning codes, building codes, faceless real estate investors and car-obsessed traffic planners. Simply put, our planning apparatus dates back to the mid-20th century and only speaks the “hard” language of codes and norms and not the “soft” language of how we feel about places today. Today’s attempts to shape plazas are best summarized by William H. Whyte’s classic analysis: “It is difficult to design a space that will not attract people. What is remarkable is how often this has been accomplished.” In broader scope, the buildings and elements of the built environment of the past few decades all too often seem to sum up to what James Howard Kunstler calls a “Geography of Nowhere”, a “tragic landscape of highway strips, parking lots, housing tracts, mega-malls, junked cities, and ravaged countryside”. Inspirational urban landscapes from Helsinki. NOT. So what can we do to return to a “geography of somewhere” and re-establish a connection between urban planning and people’s aspirations? I think first, we need to start accumulating knowledge about what makes some places better than others. This certainly is not a very outlandish idea as such, but our on-the-ground results do tell a different story about our fundamental understanding of these relationships. Just look at the Danish champions Jan Gehl & his team who seem to be operating in every major city across the globe. It’s no secret that Mr. Gehl’s work is devoted to “creating cities for people” and neither is it a coincidence that they’re keeping busy with this concept. The number one asset that Jan Gehl and his team have is longstanding expertise in observing human environments and understanding what works and what doesn’t; they master in understanding “relationships between people’s quality of life and their built environment”. 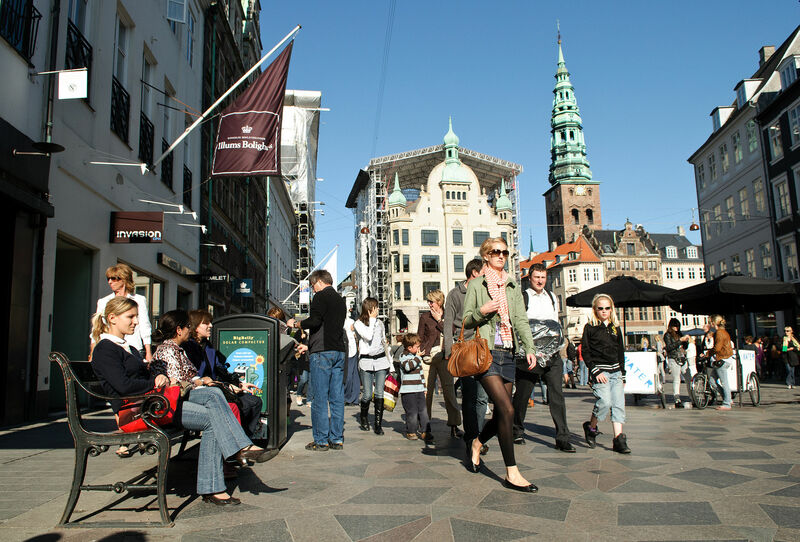 It’s very much thanks to Jan Gehl why Copenhagen is considered one of the best places to live and often held as an example of desirable urban planning. Photo by Axel Kuhlmann. This is exactly what we need to start doing to reconnect planning practice and people’s needs. And while Mr. Gehl’s work is just plain awesome, I want to stress that cities in Finland and elsewhere needn’t necessarily have to wait for an opening in his calendar. All of us actually know what works for us and what doesn’t. Maybe not at the same level as high-profile professionals who may speak for many, but definitely for ourselves and in our immediate surroundings. Nowadays we fortunately have new possibilities for exploring the qualitative, soft, side of the world, accumulating information about it, and, ultimately, harnessing this knowledge to guide our planning practice and decision-making. 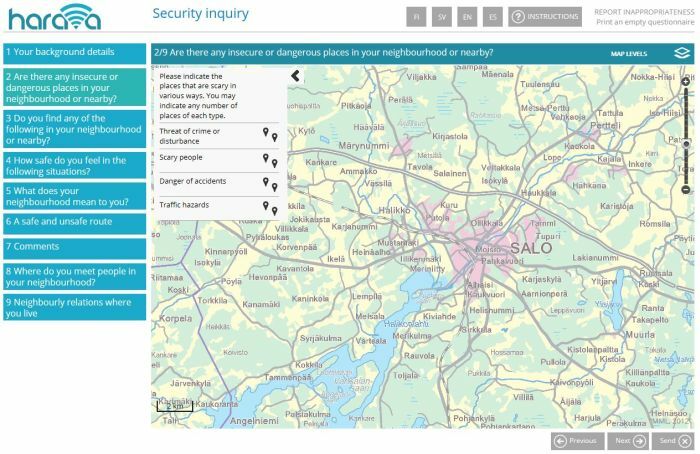 The so-called SoftGIS method has been developed by Aalto University’s Land Use Planning and Urban Studies Group specifically to collect data on human experiences and everyday behavior in a spatial framework. 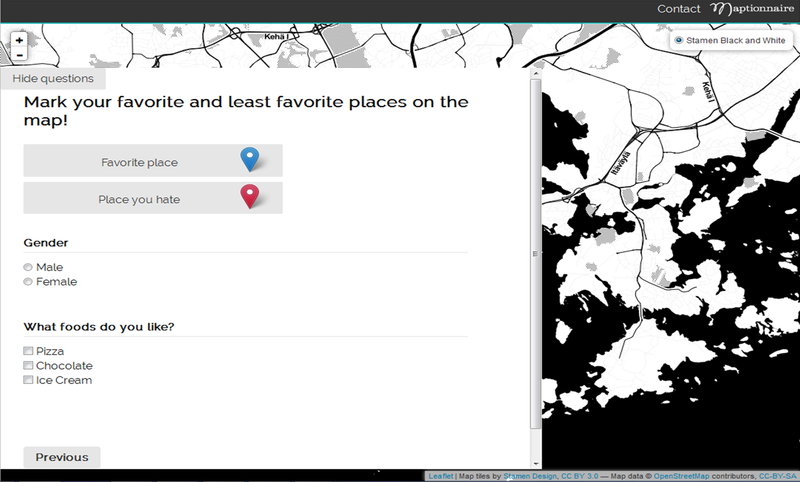 Very basically, the SoftGIS approach means creating online map-based surveys. The method has for example been used to research places that make people feel unsafe. You simply do this online by marking any such locations to a map and giving your comments about why so. Moreover, the SoftGIS method has also been used as a participatory planning tool to support urban planning and decision-making processes by empowering cities and municipalities to dynamically collect resident feedback online. This helps planners overcome the often-faced problems of low participation levels associated with old-fashioned public hearings. SoftGIS and participatory urban planning focusing on Tuusula’s Rykmentinpuisto. Image courtesy of Julkisesti nähtävillä. Since its initial development about ten years ago, the SoftGIS method is now increasingly being applied in different cities and contexts across Finland. A grand example of the new possibilities that SoftGIS offers for contemporary urban planning is the recent collaboration between Mapita – a service provider originating from the Aalto University research team – and Helsinki’s City Planning Department to empower residents to freely map “where they would like to see residential development, which areas need better transport connections, and where the city’s key recreational areas should be located”. The survey pieced together with Mapita’s Maptionnaire tool eventually attracted about 4 700 respondents to click a total of 33 000 location mappings. 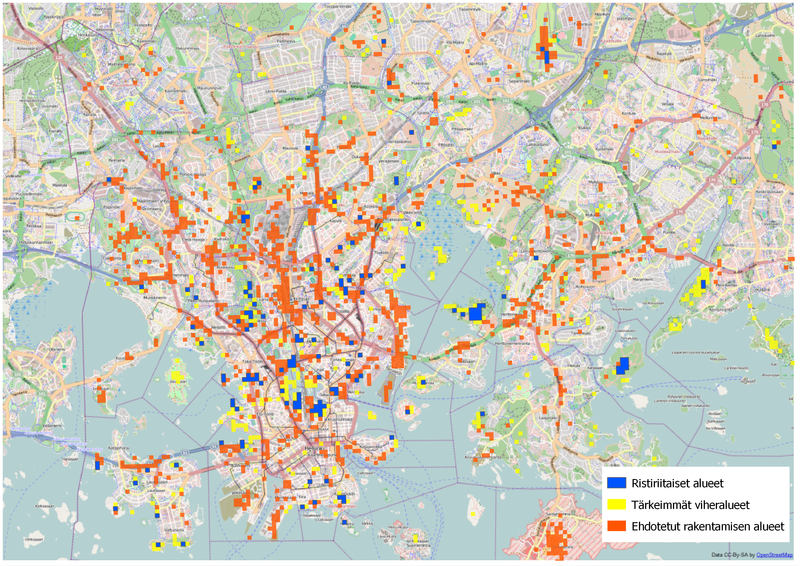 Results from Mapita’s survey on potential development sites in Helsinki. The red spots mark areas that could use some more construction, the yellow ones areas that should be saved as recreational areas, and the blue ones are areas of conflict that divide respondents’ opinions. Map by Mapita. 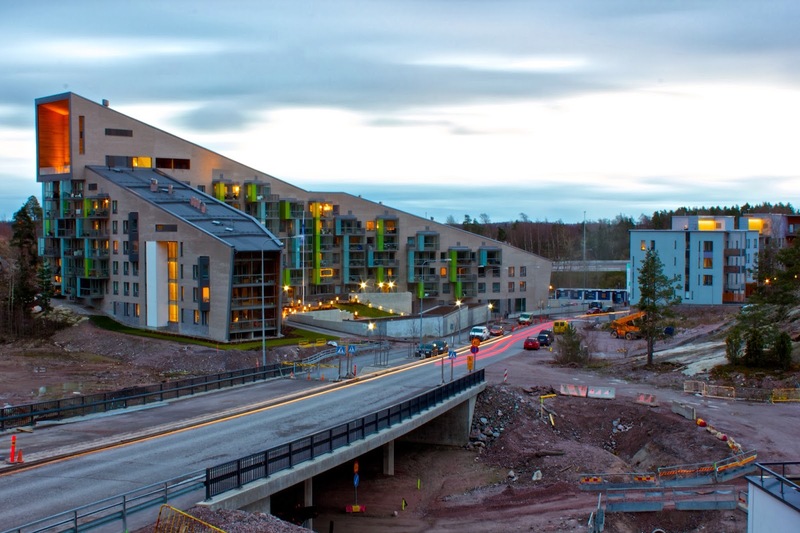 A similar project is now taking place to shape Tampere’s future. The city is drafting a new master plan for its core areas and is now asking people to submit specific place-based ideas and concerns within the project area. With the assistance of online participation, Tampere has set a target to involve at least 5% of its citizens in the drafting process. The survey is provided by Ministry of the Environment backed Harava, a tool similar to Maptionnaire. Harava is a SoftGIS tool developed by Dimenteq with the support of the Ministry of the Environment. I’m sure it works just fine, but I can’t really understand why – in the age of open data – the Ministry has spent public funds into developing a privately owned commercial service instead of an open source platform for everyone to benefit from? Image by Dimenteq. The SoftGIS method is useful for many things, and especially for participatory planning. But I want to discuss its potential in helping us shape high-quality urban neighborhoods and inspiring public spaces. Particularly, I can’t stop thinking about the possibility of empowering each of us to become little “Jan Gehls” for the benefit of being able to create more livable neighborhoods by providing information about the key elements and details that add up to e.g. interesting streets or enjoyable public spaces. SoftGIS surveys can be applied to areas of all scales and with diverse interests. 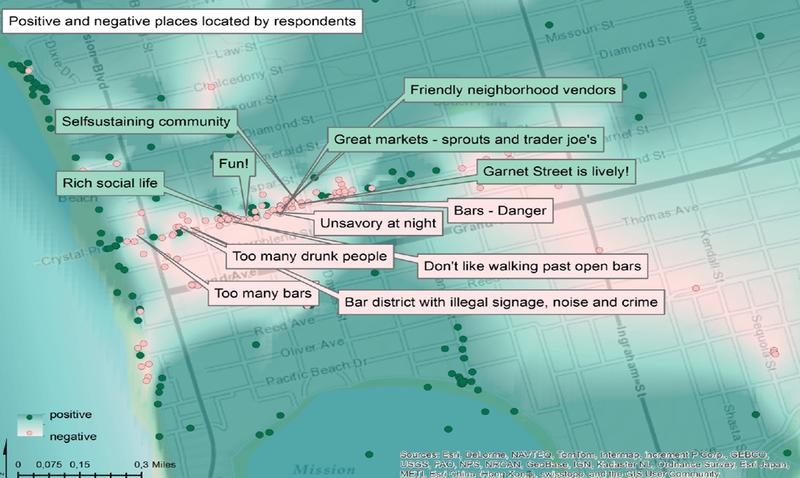 How about mapping your favorite shop fronts or spots in a park? Furthermore, surveys with such a focus could also include a function to incorporate pictures to the map, very much like Mapillary is doing with its mission to “create a photo representation of the world”. Experience-based information like this could also be combined to data collected with gps tracking on pedestrian or cyclist behavior. Mapillary is a bit like Google Street View but it’s you who is in charge of adding the imagery and locations you want to map. 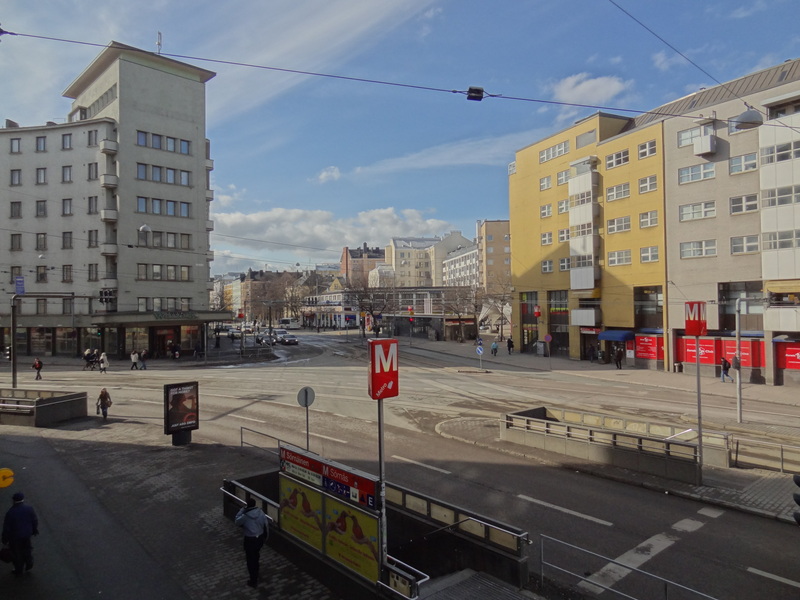 Image screenshot of Mapillary. The obvious benefit from accumulating place-specific and user-produced data on human experiences is that it can be connected to actual physical settings and particular planning or design solutions. To clearly illustrate what works and what doesn’t for our place-blind planning system, planners and decision-makers. To make the invisible visible. And to be sure that planners and developers do understand what they’re being told, qualitative GIS can also be applied for qualitative assessment in the development phase of new buildings or neighborhoods by coupling 3D visualization to it. 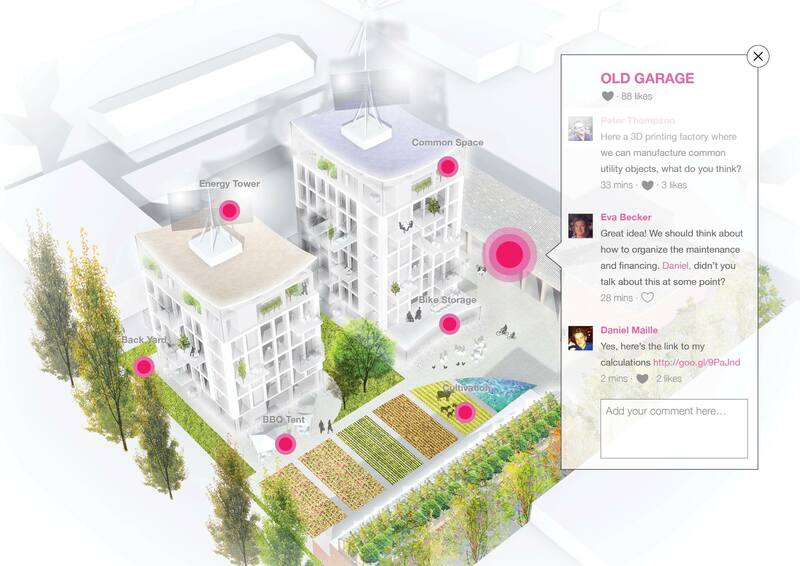 One interesting example in this regard is the yet-to-be-launched OurNeighborhood tool which promises to introduce this possibility of online co-working to the field of architecture and urban planning. I’m already very much looking forward to seeing it go live. OurNeighborhood has its goals set for transforming collaborative architectural and urban planning. Image source: OurNeighborhood Facebook page. And naturally, experience-based data about cities offers new avenues for inter-city collaboration. Urban areas all over the world could benefit from swapping data with each other to compare and evaluate what works or doesn’t in different settings and contexts. But it’s not only the public or private sector that can benefit from SoftGIS tools and the new dawn of user-friendly environments. Also the world of self-organizing urban development can easily do the same to advance or legitimate their agendas. Community associations or for example planning activist groups like Urban Helsinki – which I am personally affiliated with – could facilitate their missions by collecting data to back their arguments or by drawing public interest to a specific issue. On this front, the community organization Beautiful PB from Pacific Beach, San Diego has actually recently engaged with SoftGIS to learn new ways for making Pacific Beach a better community. Overview of the perceived environmental quality in Pacific Beach and selected comments of the respondents. Image courtesy of “SoftGIS survey in Pacific Beach – Selected findings” by Kaisa Schmidt-Thomé and Tiina Laatikainen. Finally, the last point I want to highlight about these new SoftGIS/qualitative GIS tools is that they have brought GIS a long way from what it was (or felt) like when I was at university. Not only because there now are methods suitable for exploring cities from perspectives that I care most about, but also from the user point of view. All of these new tools and services I’ve been linking to have a common trait: they are simple and very visual. Even a GIS-cynic like me is getting excited about using them. Responding to a survey or even creating one is an easy task using Mapita’s Maptionnaire, they actually offer you the possibility to try it out yourself for free. I would call it PopGIS already (explained below). I hope SoftGIS is already incorporated into University of Helsinki’s geography curriculum to get people not interested in super technical GIS engaged into spatial analysis. Image courtesy of Mapita. This, in fact, reminds me of a conversation I had with my cousin some time ago. She currently studies geography and told me about the agony she has with needing to take GIS classes. We ended up discussing about the need for popularizing GIS. That is, the need of inventing what we called PopGIS tools for users like me who would like to engage with spatial analysis but don’t really care for having to first become an engineer to be able to do it. With these new developments happening in the world of GIS, I now must admit that how wrong were we. GIS is definitely already on a pathway towards becoming a tool for everyone to benefit from. My dream is that this would now get done to improve urban planning. SoftGIS and experience-based data could be applied to help cities update their 20th-century planning approaches to cater for the needs of the 21st-century urban dweller. After all, Jan Gehl, the go-to man in the cities-for-people business, will unfortunately retire sometime in the near future. Edit: You should also check out what Third Dimension OÜ from Estonia could add to your planning tool box. Their freely navigable real time 3D models give citizens and other stakeholders a clearer understanding of the different phases of development projects and scenarios to stir up fruitful discussions. Want to have your participatory planning tool listed here? Contact me! SoftGIS certainly makes it easier to collect new sorts of spatial data, which is great. But I’m not sure, that it would be especially a tool to “shape more livable high density neighborhoods. Of course it could and probably also should be used as tool for that, but most likely it will also be used for nimbyism and other purposes. So advocates of urbanism, be ready, softGIS will probably also be used to oppose your arguments. GIS is basically just a tool and it will be used in many ways. Other point is that geographers can of course understand maps and spatial aspects of different phenomena, but how about others? Maps are a great way to lie ( e.g.http://www.amazon.com/How-Lie-Maps-2nd-Edition/dp/0226534219) and when graphical representations are getting more popular in social media, there will also be more misleading and manipulative maps. I even think that remembering the importance of sample size is especially difficult with beautiful and graphic thematic maps. Even newspapers often use quite misleading maps. For example in Helsingin Sanomat there was yesterday quite poor maps (regional distribution of diseases in Finnish cities). Example from Daniel Kahneman that I like: “A study of the incidence of kidney cancer in the 3,131 counties of USA reveals a remarkable pattern. The counties in which incidents of kidney cancer are the lowest are mostly rural, sparsely populated and located in traditionally Republican states in the Midwest, the South, and the West? What do you make of this? Reason is of course, that rural counties have small populations and more deviation. I think this something that non-geographers don’t always understand. Regional distribution and density are highly scale dependent concepts. After these remarks I still think that softGIS has great potential. Personally I would be especially interested in public transport stops. What are the nice and easily accessible transport stops? What kind of urban design could encourage people to use more public transport? Toivottavasti kankea ja kielioppivirheellinen englantini avautuu. Thanks, kiitos, for your comment! It is true that of course any kind of research has an ethical dimension, and not the least with cartographic visualization. And as what goes for NIMBY-ism, I don’t mean say that collecting experience-based data of the built environment is only for the benefit of dense urban living (I am just an advocate for these types of communities), but for all. We could also make better suburban neighborhoods for those who desire to live in them.